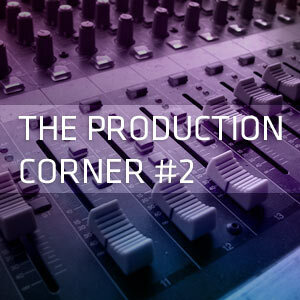 In last month episode we gave you a general introduction to electronic music production. Now that you’re familiar with the terminology and the general concept, it’s time to get closer to the actual material : sound. How do you make drums, basses, synths and effects – basically everything non acoustical but essential to electronic music ? Producers working “in the box” (in their DAW) generally have two options : Samples, and Virtual Instruments. Samples are bits of audio that have been selected and collected to be re-used, and they may come from a variety of sources : they can be original creations or bits taken from existing ones. For instance, it’s a very common practice to “sample” a kick drum from another track because it sounds good. So, when you stumble upon an interesting sound, you copy it for your own use. You may be wondering if this is fair practice, and since this is a very wide and complex subject, we’re keeping a whole article dedicated on that in the future. Also, most artists build their own sample library over time ; you can even sample your own material to recycle it later on. Samples can be commercial as well : it’s a very prolific market, with genre specific kits edited by dedicated companies, and to be honest, some are excellent. You, as a producer, don’t have to spend the time they spent creating the sounds, and maybe you don’t have the skill to go into the nitty-gritty of sound design, thus it’s easier and faster to write music. The Vengeance CDs are very popular titles, they’ve been around for ever and everyone knows them – sometimes so much that you can start to recognize the sounds in other people’s productions, especially when it comes to loops – which are ready made musical phrases of several bars. The key here is to use them as a starting point. You may also chop bits from several loops and kits to build your own. It really is like cooking, you’re the chef and you can pick your own ingredients. 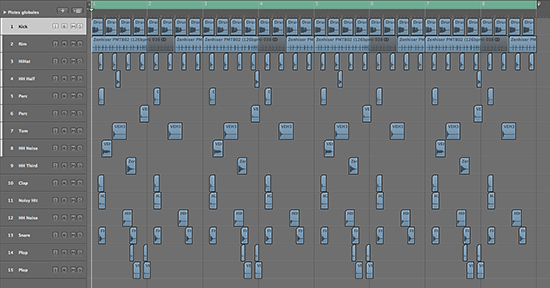 Here’s a screenshot below of a beat of my own, made with a bunch of samples, in Logic Pro. Sometimes, samples are considered to be tools for the lazy, since some CDs come with “construction kits”. In other words, you get every element needed to build up a track broken down into essential pieces, plus loops (ie, a set of files, for the drums, plus a set of files for the synths). You’re still free to build the arrangement yourself, and mix it the way you like. Last year, Steve Angello spawned controversy with his track KNAS since it was completely based on a Vengeance construction kit – even though he did a clever edit of the base files. 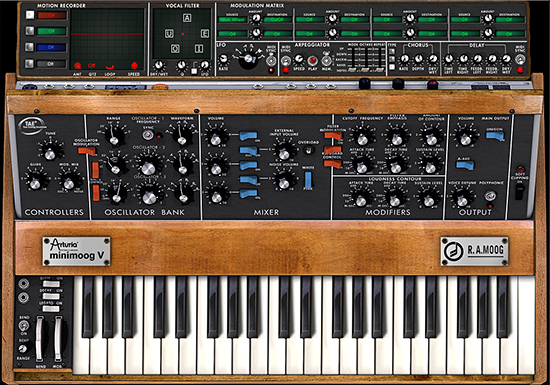 Virtual instruments, often referred to as plug-ins, are a kind of piece of software allowing you to emulate real instruments. There’re several types of them, enabling you to play them using a keyboard connected to your computer via MIDI, or directly by inputting the notes in your DAW. Library based virtual instruments use real recordings of the instruments they try to recreate, and thanks to clever programming they’re able of copy them with extreme realism. Check out for yourself the Vienna Symphonic Library demos, and you’ll see how far we can go today. Of course, philharmonic orchestras aren’t of much use for electronic music producers, however the same principle works for synthesizers and drum machines just like they work for flutes, cellos and pianos. A very popular piece of software is Kontakt. There’re tons of expansions that you can buy, to build the arsenal of your wildest dreams, be it ukuleles or Junos. Next are virtual instruments based on modeling. They try to duplicate the acoustics of the original instruments thanks to analysis and clever programming. Applied Acoustics Systems for example, are specialists in that field, and they’ve made some excellent virtual electric pianos that sound super close to their real counterparts. Modeling is a tough deal, but library based instruments or not easy to develop either : you need a good sound engine and equally good recordings to get a proper result. One common misconception in dance music is to believe that everything is made from synths – it’s totally feasible however. While you can generate almost any sound with them, they’re best when used in conjunction with samples because they’re in two different registers with different palettes. Next time we’ll have a deeper look at synths. We’ve had requests for details about music production before computers took over : good news, synths work mostly, if not exactly, the same way that they did 20 years ago !